The AP Top 25 includes four teams that failed to reach last year’s big dance: No. 14 Oregon, No. 18 Mississippi State, No. 23 LSU and No. 25 Washington. In last year’s preseason Top 25, the only ranked team that wasn’t coming off an NCAA Tournament berth was No. 25 Texas A&M. 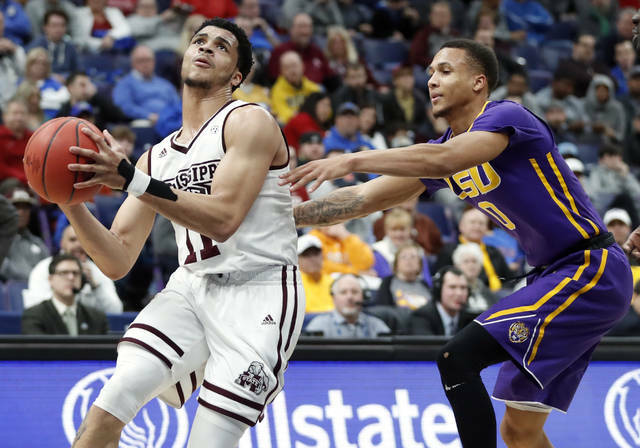 “Just to know we made it that far in the NIT with everyone coming back, we know we should have a good run to make it to the NCAA Tournament this year,” Mississippi State guard Quinndary Weatherspoon said. Oregon reached the Final Four in 2017, and LSU last made the NCAA Tournament in 2015, but Mississippi State and Washington are trying to end longer droughts. Mississippi State hasn’t earned a bid since 2009, and Washington is chasing its first NCAA Tournament appearance since 2011. 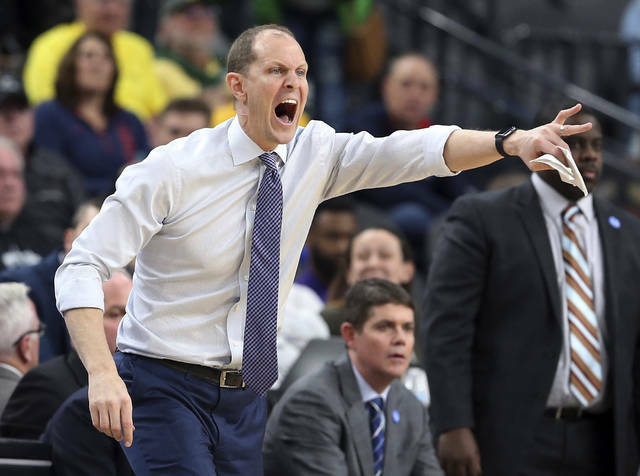 Here’s a look at some teams that have realistic preseason hopes of reaching the NCAA Tournament after failing to get there last year. Indiana has one of the nation’s most touted freshmen in guard Romeo Langford , who was rated as the No. 7 prospect in his class according to composite rankings of recruiting sites compiled by 247Sports . Langford headlines a five-man freshman class. Indiana returns senior forward Juwan Morgan, who earned second-team all-Big Ten honors and averaged 16.5 points and 7.4 rebounds last season. Other Hoosiers who made at least 12 starts last season include De’Ron Davis, Devonte Green and Zach McRoberts. Indiana adds Saint Mary’s graduate transfer Evan Fitzner. 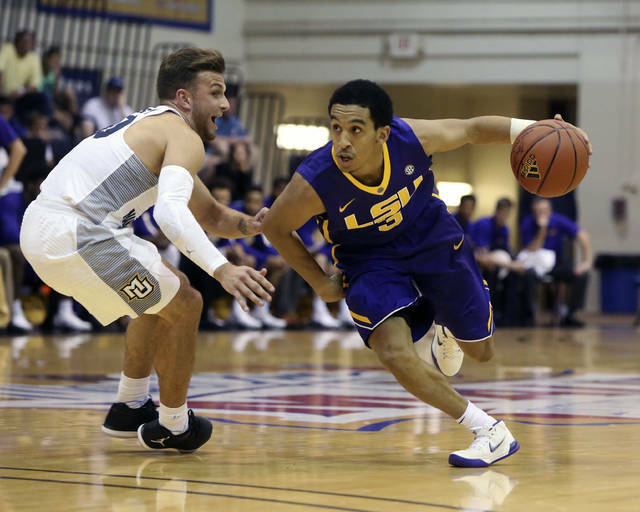 Tremont Waters is back for his sophomore season after averaging 15.9 points and 6 assists last season. He is joined in the backcourt by Skylar Mays, who had 11.3 points per game last season. LSU added a signing class that was ranked fourth in the nation according to the 247Sports Composite . LSU’s freshman class includes three top-35 national recruits in forwards Naz Reid and Emmitt Williams plus guard Ja’Vonte Smart. Marquette returns four starters from last year’s team . That list includes Markus Howard, who scored 20.4 points per game last season and earned second-team all-Big East honors. Sam Hauser averaged 14.1 points and shot 48.7 percent from 3-point range last season. Marquette’s other returning starters are Sacar Anim and Matt Heldt. The Golden Eagles also add Fordham graduate transfer Joseph Chartouny and Nebraska transfer Ed Morrow. Chartouny averaged 3.34 steals to lead all Division I players last season. Mississippi State returns its top six scorers from last season and is ranked for the first time since February 2012. The Bulldogs’ list of returners includes senior guard Quinndary Weatherspoon, who averaged 14.4 points last season and was a second-team all-SEC pick by the leagues’ coaches. Other notable returners include Aric Holman (10.9 ppg last year), Nick Weatherspoon (10.8), Lamar Peters (9.6), Tyson Carter (8.9) and Abdul Ado (7.8). The Bulldogs’ freshman class is led by forward Reggie Perry. Oregon is the Pac-12 media’s pick to win the conference. Payton Pritchard returns after leading the Ducks in scoring (14.5) and assists (4.8) last season. Oregon also added the nation’s No. 3 signing class according to the 247Sports Composite . The class is headlined by 7-foot-2 center Bol Bol, rated by the 247Sports Composite as the nation’s No. 4 overall prospect in his class. Texas A&M-Corpus Christi graduate transfer Ehab Amin led all Division I players in steals (3.4) and averaged 16.9 points and 6.6 rebounds in 2016-17 before missing last season due to a hip injury.